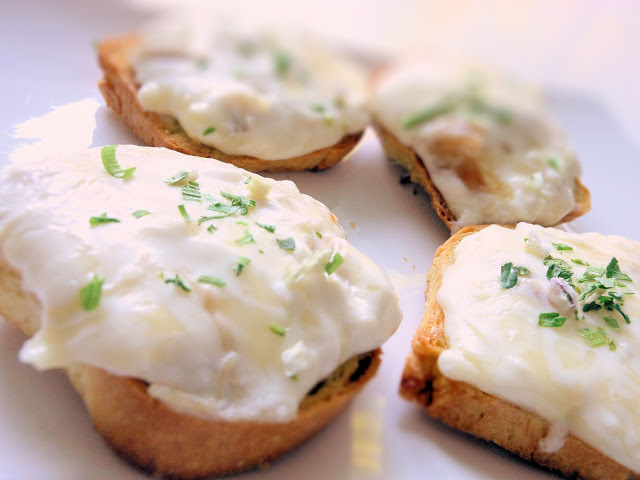 What an easy and quick appetizer to make when you are inviting guests over. It has a cheesy taste in every bite, and the crispy toast on the bottom makes it even more delicious. This recipe doesn't require any fancy ingredients. Most of the ingredients are among our daily food which we normally have them in our kitchen or refrigerator. Since this is served as an appetizer, you want to make the toast a petite size so that your guests can walk around while holding and eating it. 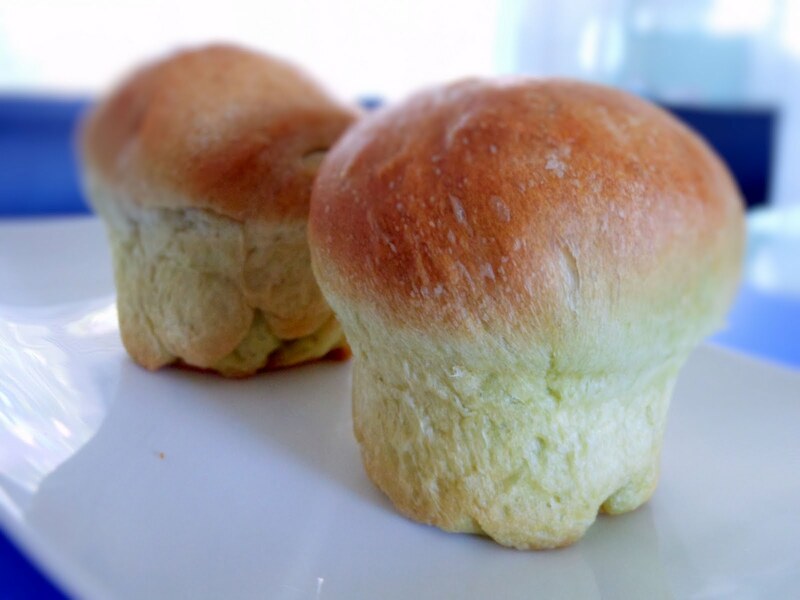 In this recipe, I was using my homemade buns to make toast. You can use any sandwich bread that you like. 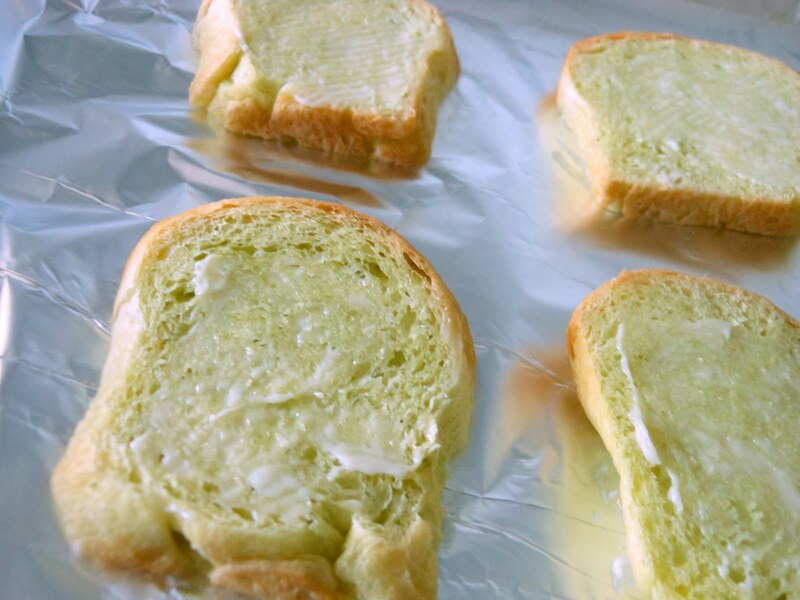 Easily cut each slice of the sandwich bread into four pieces. I kept the crust on, and it tasted just fine. Pinch of dry parsley and chives. In a bowl, mix chicken, mayonnaise, sour cream and mozzarella cheese well. Set aside. Spread butter or margarine on both side of each slice of bread. Cut each slice into 4 pieces. Put them in the oven and bake for 8 minutes. Spread the chicken mixture on top of toast and bake for 5 minutes. Sprinkle some dry parsley and chives. Serve immediately.